Isn’t it strange how the festive season seems to creep up on you without you noticing? Come on……. you’ve got to be kidding right? There’s plenty of notice given if you’re prepared to look. Shops start decking themselves out, and Christmas music is playing in the background, long before December is anywhere near. There’s absolutely no excuse if you think you can pretend that you’d forgotten. After all it comes round every year, and hey it’s on the same date. You’ve still got plenty of time to get your skates on however, and find yourself the ultimate Christmas gifts for her. But if you’re already feeling a bit woozy with all the pressure, let’s see if we can help. First however, we’re going to take a look at the way we Canadians celebrate Christmas. After all some of you reading this might never have been there. Canada is a country of many cultures. Which means we celebrate Christmas in many different ways. All the people who have settled here, have brought with them their idea of a Xmas celebration, and this makes for a very eclectic mix of styles and traditions. Influences come from France, England, Ireland, Scotland, Germany and native/ First Nation people. Nova Scotia, in the East of Canada, is well known for its pine and fir Christmas trees. So most Canadian families will have one of those. Every year, one tree that was grown in Nova Scotia, is sent to Boston, in the USA. In recognition and to give thanks for the assistance that was given during the disaster known as the Halifax Explosion. One pretty odd tradition that takes place in the province of Newfoundland, is known as “mummering”. Usually in small towns and villages people dress up and knock on neighbours doors. They ask if any mummers are allowed in the house, of course in a disguised voice, and the people who answer the door have to guess who the mummers are. It’s then time for singing, dancing, eating Christmas cake and of course a drop of something nice to drink. On the southern shore of Nova Scotia, a similar tradition takes place, and it’s called Belsnickeling. Here people dress up as Santa and go knocking on people’s doors. In 1751, when German immigrants first set foot on the south shore, they brought this tradition with them. 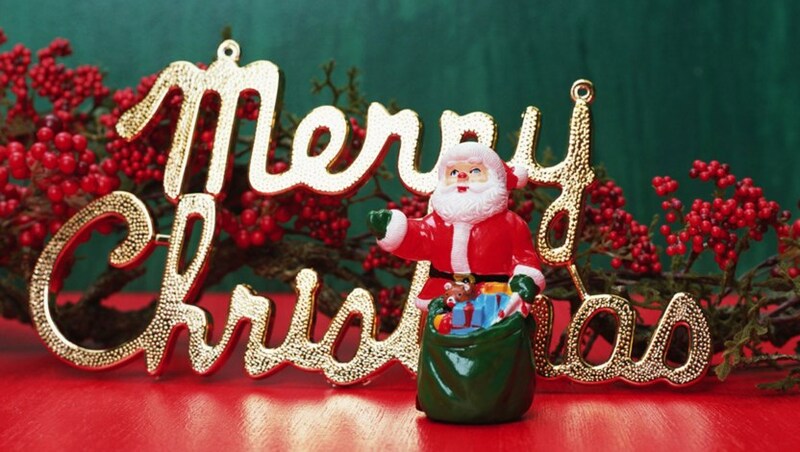 A lot of Christmas gifts are opened on Christmas Eve, but some prefer to leave the present giving until Christmas Day. In Toronto is held one of the oldest and largest Santa Claus Parades. It first took place in 1913, and so has been held for more than 10o years. There is an inuit festival that is held in some Canadian provinces, and involves dancing and exchanging gifts. Labrador City in Newfoundland has a Christmas Light Up Contest every year. Residents decorate the outside of their houses with colourful lights, and some have ice sculptures in their garden. Families of French descent, have a great big feast on Christmas Eve, and the festivities carry on long into the early hours of Christmas Day morning. They also find the time during their celebration to attend Christmas Eve Mass. When Christmas is over, on January 6th, residents in Quebec have a celebration they call “La Fete du Roi”. It involves baking a cake, and putting inside it a bean. According to tradition, whoever gets the bean will be the king or queen. So as you can see, over here in Canada, there’s far more to Christmas than first meets the eye. It doesn’t matter how much you wish it’d all go away, Christmas is knocking on your door, and you’re going to have to invite it in. It’s return is relentless, so there’s no point trying to bury your head in the sand. 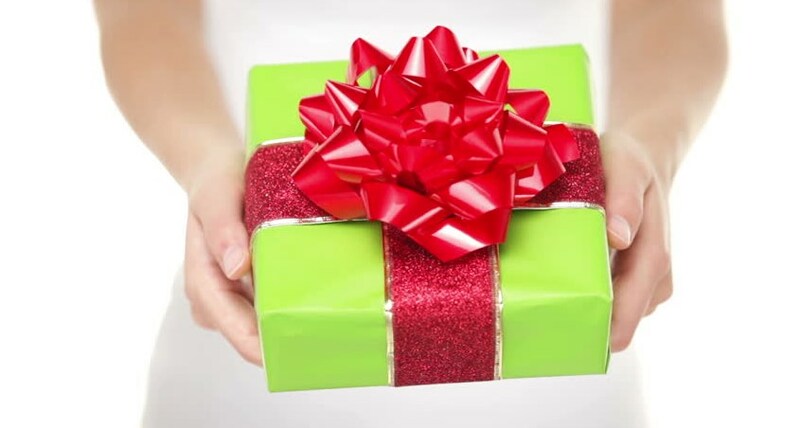 If you’re still facing the problem of finding great gifts for the women in your life, whether they’re your girlfriend, mother, sister, aunt or the most important of all, your wife, don’t panic. We’re here to help with a bit of friendly advice and suggestions on the best, most romantic, and special Xmas gifts for her. Many women love to wear stylish and beautiful items of jewellery. Whether they’re relaxing at home with the family, shopping, out on the town for the night, or at work. Different kinds of jewellery suit different kinds of occasions, but most ladies will have a favourite style. They will also prefer gold, silver, platinum or some other precious metal, and some will prefer plain and simple, while other females like their jewellery to be completely over the top. Take a look at the types of jewellery the lady you’re buying for already has, and find something that will suit them perfectly. Take a look at any photos you’ve got, to see if you can glean an idea of the styles they like to wear, or ask family and friends for further ideas. Pearl necklaces, diamond stud earrings, ethnic hand crafted bangles, bracelets and not forgetting rings. There so much to choose from you’re going to be spoiled for choice. There are tons of affordable, cute, quirky and simply practical gifts you can buy for the home. Picture frames, artwork, ornaments, trinkets, dinner service, tea set, cushions, foot stools, chairs, bean bags. Need we go on. Try and find something in keeping with the things she already owns, or your gift this year is going to stand out like a sore thumb. That’s if she even gives it space in your home. How about a letter LED light, a fun way to bring a little illumination into the bedroom? Or a colourful water bottle so she can keep herself hydrated, wherever she might be? If she loves cooking, a set of Le Creuset pans will go down a storm, and it won’t be long before they’re put to good use, making you something delightful for your dinner. Personalising any kind of gift can lift it so much higher on the best Xmas gifts for her list. And it doesn’t have to be just her name. You could add the date of her birthday, the date you got married, or the date that you first met. Alternatively find a few thoughtful words, or a loving message and have that added as well. Jewellery is the obvious choice if you’re looking to get something personalised, but you can say rather a lot more, with the gift of a personalised t-shirt for example. You can also get bottles of wine personalised, glasses and plates engraved and printed, well we’ve found that pretty much anything can be personalised. If you’re looking to inject a little romance this Christmas, take your beloved away for the holiday season. Unless that is, she’s already invited all your friends and relations round for Christmas dinner. In which case you’re to have to find the most romantic Christmas gifts for her ever. Now you’re looking a little puzzled, so let’s see if we can help. Don’t be tempted to buy something for the home, thinking that it’ll be a romantic gesture. You couldn’t be further from the truth. Chocolates and flowers usually work pretty well, but you’ve likely given these as a gift on several occasions. 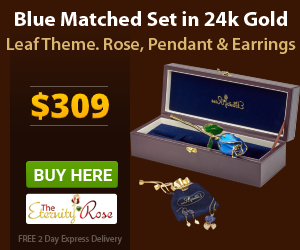 Have you heard about the gift of a gold dipped rose? Also available dipped in platinum and silver. 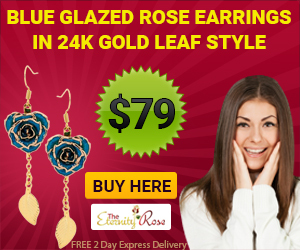 A natural rose bloom is picked in its prime and carefully coated in the precious metal of your choice. Eternity Rose will also add a special engraving to the stem, making this a really romantic gift for her. And unlike a real live rose, it’s beauty and meaning is never going to fade. Why not inject a little humour into your Christmas gifts for her this year? There’s absolutely nothing wrong with giving your lady a gift that will make her laugh outloud. Unless of course she hasn’t got a sense of humour, but we doubt that, as she married you didn’t she? All joking aside, there are heaps of fun and funny gifts available to buy. From personalised loo paper, to a star wars onesie. There’s also a Canadian weather stick – far more accurate that the weather forecast on your phone. Maybe she needs a little tuition in how to be a Canadian. A tongue in cheek book written by Will Ferguson, with the help of his brother, will fit the bill. However you choose to observe the festival of Christmas, and whatever gift you decide to buy for her, we wish you all a very Merry Christmas, and the promise of many more to come. We hope you enjoy the holiday season, whether you’re surrounded by family and friends or are celebrating together just the two of you.